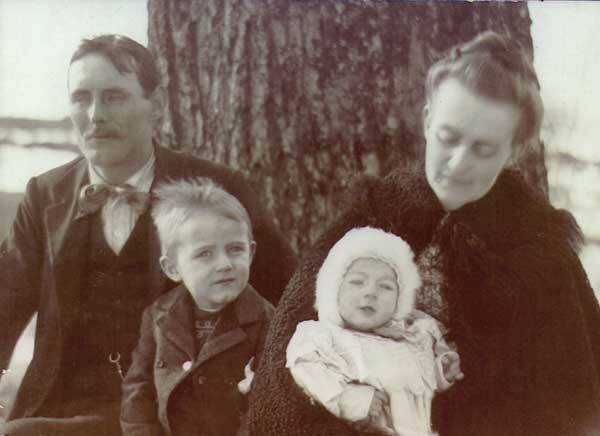 Grace Griffen writes: "James Henry Trefethen, born January 29, 1873 in Cushing, Knox, Maine. Died September 4, 1958 in San Francisco, California. 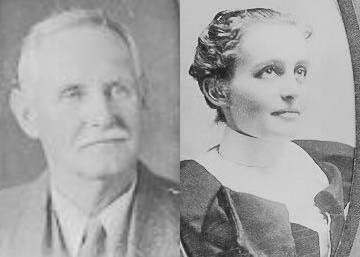 Married Etta Mae Barter on July 12, 1898 in Maine." They (my mother and grandfather) moved to Ontario, California to live with his mother, Nancy Jane and Olive (1394). My Grandfather worked for Armstrong Nursery in Ontario. We have pictures of him working at San Simeon when Hearst was building his "castle" on the coast of Northern California. In later life he left Ontario to live with my Mother in San Francisco. He lived there until his death in 1958. He is buried in Ontario, California along with Olive and Nancy Jane Taylor TREFETHEN. She married Leslie B. HEENEY on 28 August 1941.